AUTO CENTRAL CHICAGO - February 3, 2019; Every Sunday Larry Nutson, Senior Editor and Chicago Car Guy along with fellow senior editor Thom Cannell from The Auto Channel Michigan Bureau, give you The Auto Channel's "take" on this past week's automotive news, in easy to "catch up" with news nuggets. 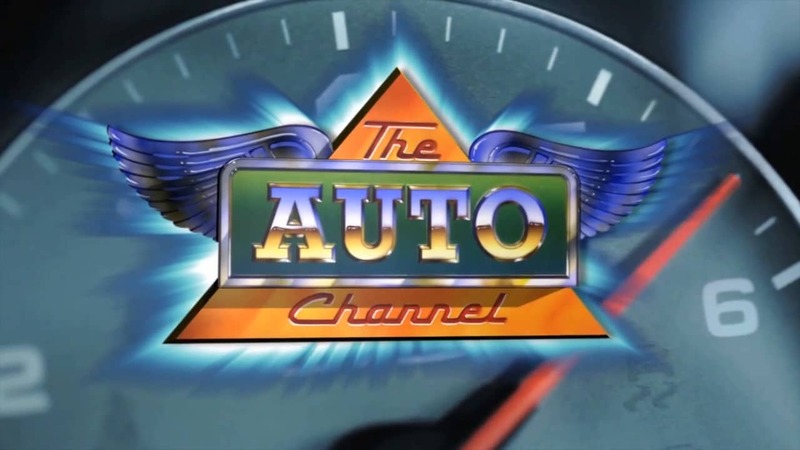 See Also: links to the past 25 year's millions of (Indexed By Bing) pages of automotive news, automotive stories, articles, reviews, archived news residing in The Auto Channel Automotive News Library. * January light vehicle sales numbers are in showing a 1% decline from January a year ago with higher fleet sales overall and lower retail volume. The partial government shutdown and severe weather over a good share of the nation were blamed. Winners were Ford, Honda and FCA while Toyota and Nissan lost ground. Analysts generally expect 2019 to be slightly down from recent years of record sales based on the underlying strength of the economy. January's SAAR was 16.9 million...a bit above analyst's forecast of 16.8 million for the entire year. * Reuters reports about 2.1 million electric vehicles were sold worldwide last year, according to a report earlier this month by Germany’s Center of Automotive Management. There were 1.3 million new e-vehicle registrations in China according to the report. Bloomberg NEF estimated there were 1.1 million electric vehicles sold in 2017. The China Association of Automobile Manufacturers said in December it estimates 28 million vehicles will be sold in the country in 2019, which is roughly the same as 2018. What does this mean? The Chinese market is driving down the costs of EVs and correspondingly the further new development of internal combustion engines (ICE). A result will be that the U.S. will see EV growth and ICE decline. * Porsche Cars North America announced an agreement with Electrify America, LLC to provide the first all-electric Porsche, the Taycan, with three years of charging at Electrify America public stations across the country. This charging benefit will be included in the price of the Taycan. In addition, Porsche U.S. dealers will install their own fast-charge kiosks. Porsche will also offer home charging technology. Taken together, these three components will make up a comprehensive power network for the Taycan when it launches late this year. * According to a Wall Street Journal article, Shanghai has more auto designers than any other city in the world including Detroit and L.A. They've been lured by top-dollar salaries and the opportunity to put their stamp on an entire line of vehicles. Designers from Rolls-Royce, Audi, Alfa Romeo, BMW, Mazda, Ford, Volvo and Bentley are making Chinese cars attractive to a global market, and not just the Chinese market. * Reuters reports that Volkswagen Group has held on to its position as the world's top-selling automaker, with 10.83 million units, now for the fifth year in a row, although the German group was edged out again by the Renault-Nissan-Mitsubishi alliance in the light-duty vehicles segment. Renault SA, Nissan Motor Co Ltd and Mitsubishi Motors Corp together sold 10.76 million passenger cars and light commercial vehicles in 2018, according to Reuters' calculations after new data was released. The group doesn't sell heavy trucks. Toyota Motor Corp retained its third spot, announcing that it had sold 10.59 million vehicles last year including its Toyota and Lexus brands, along with minicars made by subsidiary Daihatsu and light and heavy trucks produced by its truck division Hino Motors Ltd.
* With retail passenger car sales totaling 667,762 units in 2018, Honda was the retail best-selling passenger car brand in America in 2018 – a first in the brand’s 49-year history – according to just-released retail sales data from Urban Science. Leading the charge was the Honda Civic, which continues to dominate as the retail #1 car in America for the third straight year. Civic also led all cars and light trucks in share of all-important millennial, Gen Z and first-time new vehicle buyers. Accord also finished the year on a strong note, leading retail sales in the midsize car segment for the second half of 2018. * Fiat Chrysler is recalling more than 182,000 pickup trucks worldwide to fix an electrical problem that can knock out the power steering. The recall covers Ram 1500 pickups from the 2019 model year. Most are in the U.S. and Canada. One-third are still on dealer lots. * Harley-Davidson has recalled 43,908 of its Street motorcycles for a brake issue that could cause a crash and has temporarily stopped shipping those models. The recall, which includes 12,800 motorcycles sold in the U.S., wasn’t published on the National Highway Traffic Safety Administration's website because of the government shutdown. Street 750 and Street 500 models manufactured in the U.S. from May 19, 2015, through Dec. 6, 2018, are subject to the recall. * The Associated Press reports that Nissan’s former chairman Carlos Ghosn, in his first interview since his arrest in November, blamed fellow executives opposed to forging closer ties with the automaker’s French alliance partner Renault for scheming against him, the Japanese newspaper Nikkei reported. * The involuntary culling of salaried staff (roughly 4,250) at General Motors begins next week according to reporting by Automotive News. Voluntary buyouts and cuts to contract workers have already eliminated about 8,000 jobs, about half the target number. GM announced last November intentions to cut 15% of its North American salaried staff and 25% worldwide. The personnel cuts go along with plans to close five North American factories. * Volkswagen announced this week that they will introduce a concept electric dune buggy at the March Geneva Motor Show based on the MEB modular electric-vehicle platform. Style and design will reflect the popular 1960s and 70s kit vehicle made by Bruce Meyers called the Meyers Manx designed to fit on a Beetle chassis. The MEB platform is meant for both mass produced and specialty vehicles. The classic dune buggy stands for freedom, wind in the hair and the smell of sea air. Elvis, James Bond and Steve McQueen all drove the dune buggy of the 1960s and 70s. * Zotye USA may be the first Chinese company to sell vehicles in the U.S. under its own name. Zotye signed its first dealers at the National Auto Dealers Association show last week and plans a network of 300 or more outlets by the end of 2020. The first product is expected to be a crossover but details have not been released. Another Chinese company, Guangzhou Automotive Group (GAZ), announced at the recent Detroit auto show the opening of an office in California to begin planning for U.S. distribution of its products. * Tesla missed Wall Street’s expectations for Q4 2018 earnings. It represented the second profitable quarter in a row and only the fourth profitable quarter since the company went public in 2010. Sales were better than expected for the ‘mainstream’ Model 3 small sedan but they faced headwinds in the form of lower sales of regulatory tax credits, higher import duties on parts from China and lower sale prices on Model S and Model X in the China. Stock price dropped about 5% on the news. * Honda announced a plan to increase production of its Civic hatchback at the Swindon factory in southwest England in anticipation of disruptions likely when Britain leaves the European Union in a few months. Other automakers with factories in the U.K. have also expressed concerns about parts coming from other countries being subject to delays resulting from custom inspections. * The Corvette Hall of Fame, located at the National Corvette Museum in Bowling Green, Kentucky, exists to recognize those who have played a vital role in the evolution of Chevrolet’s singular Corvette. The first class of inductees, recognized in 1998, numbered six. For 2019, the ranks swell to 71, as three more are recognized for their contributions to the iconic GM model. This year’s inductees are Dollie Cole, widow of former GM President and Chevrolet Chief Engineer Ed Cole, Briggs Cunningham, the legendary racer whose cars date back to the 1930s, and Tom Peters, GM Design Director for the C6 and C7 Corvette. * George Poteet may be best known as a Bonneville record holder and the pilot of the Speed Demon streamliner, but he’s also a passionate car collector with a preference for hot rods and customs. At last weekend’s Grand National Roadster Show, in Pomona, California, Poteet’s ’36 Ford “Three Penny Roadster,” built by Eric Peratt and team at Pinkee’s Rod Shop in Windsor, Colorado, captured the title of “America’s Most Beautiful Roadster,” a first for both Poteet and Pinkee’s. * The 2019 U.S. motorsports season kicked off last weekend with the 57th Rolex 24 at Daytona. It's the first race of IMSA WeatherTech SportsCar Championship. Mother Nature took over most of the second half of the race with lots of rain resulting in many laps run under yellow and two red flag race stoppages. The No. 10 Cadillac DPi team won the Daytona prototype class and race overall. The No. 18 Oreca LMP2 finished first in the LMP2 class. The No. 25 BMW M8 GTE finished first in the GTLM class, and the No. 11 Lamborghini Huracan GT3 finished first in the GTD class. * NASCAR is tightening things up. In this season's NASCAR rulebook it has banned all drivers and team members from betting on its races as part of new gambling guidelines. NASCAR employees are prohibited from disclosing confidential information and from requiring insider information that could potentially help "their own gain or for the gain of others." * NASCAR champ Jeff Gordon was one of five people inducted into the NASCAR Hall of Fame. The other inductees were drivers Davey Allison and Alan Kulwicki and team owners Roger Penske and Jack Roush. * “Bob Bondurant School of High Performance Driving is open for business and going flat out,” said Tim Shaffer, Chief Restructuring Officer at Bondurant. “Not only has the School conducted ‘business as usual’ for the past several months, we also hosted the Mazda Road to Indy USF2000 $200K Scholarship Shootout in December. Bob Bondurant School of High Performance Driving announced its lineup of Driving and Racing courses for 2019, which includes professional instruction in high performance driving and racing, as well as driving programs specifically tailored for teens, women, first responders and the military. * Lastly, with this week's Polar Vortex electric vehicle owners got a first hand look at shortened driving range due to the extreme cold impacting battery efficiency. Tesla 3 owners saw driving range lower by 25-30 miles overnight and lower by another 5-10 during driving. And, those flush door handles were frozen over on many causing owner frustration.